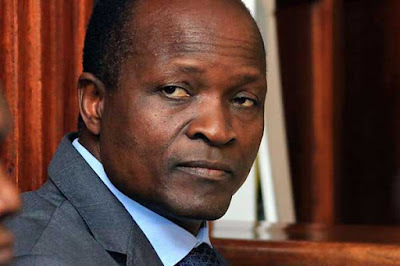 EACC and OBADO in an Eight gun drama at Obados' home - Bana Kenya News, Real African Network Tubanane. Migori Governor Okoth Obado arrested by Police after a thorough investigation that revealed Governor Obado hold high-end firearms. They also got bank statements that EACC detective reveal will help them in pursuing a county fund misappropriation case as ordered by DPP. Ethics and Anti-Corruption Commission (EACC) detectives Tuesday raided the office and homes of Migori Governor Okoth Obado and confiscated, among other things, eight firearms, several bank statements and electronics. Five of the firearms were recovered in Nairobi while sources within EACC said they recovered another three in Migori. The Bana Media could not independently authenticate the claims because the homes were heavily guarded. Governor Obado will be detained until Monday next week where his case will be heard at a Nairobi court.